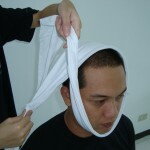 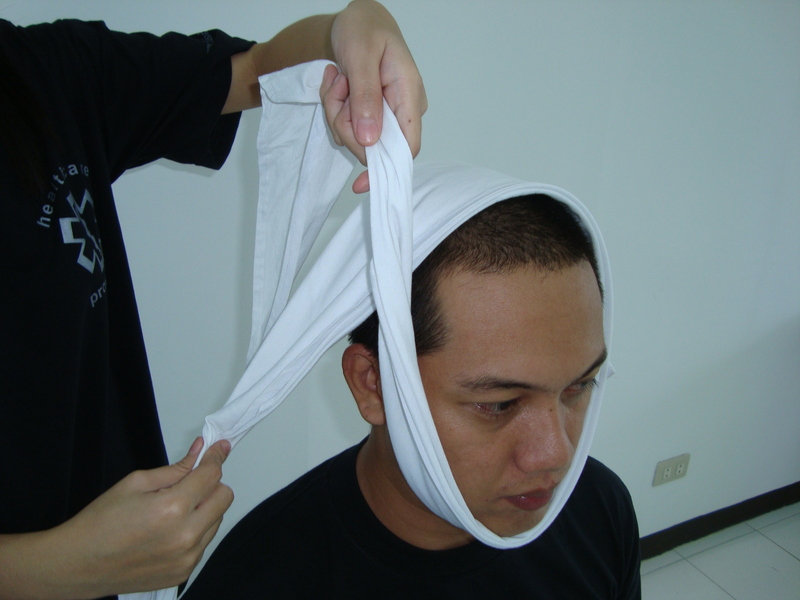 The ear bandage application is similarly applied with the cheek bandage application. 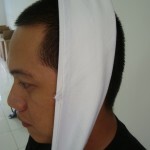 Only the location matters. 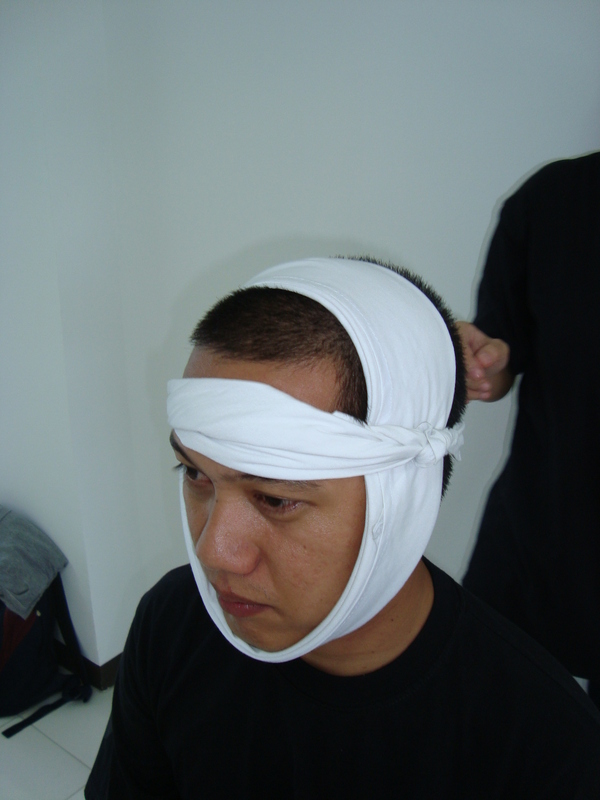 The illustration below shows the ear application and notice that the center of the bandage is placed on the injured ear. 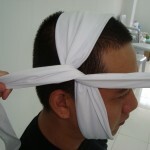 Should the application be for the cheek, then place the center of the bandage over the cheek area. 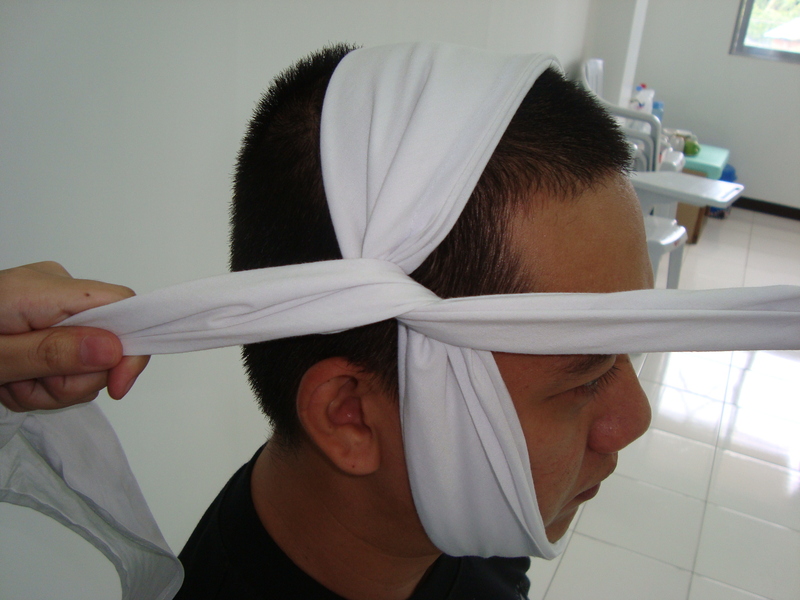 Make a cravat or close bandage, place the center of the bandage (apex area) on top of the injury either ear or cheek (figure 1). 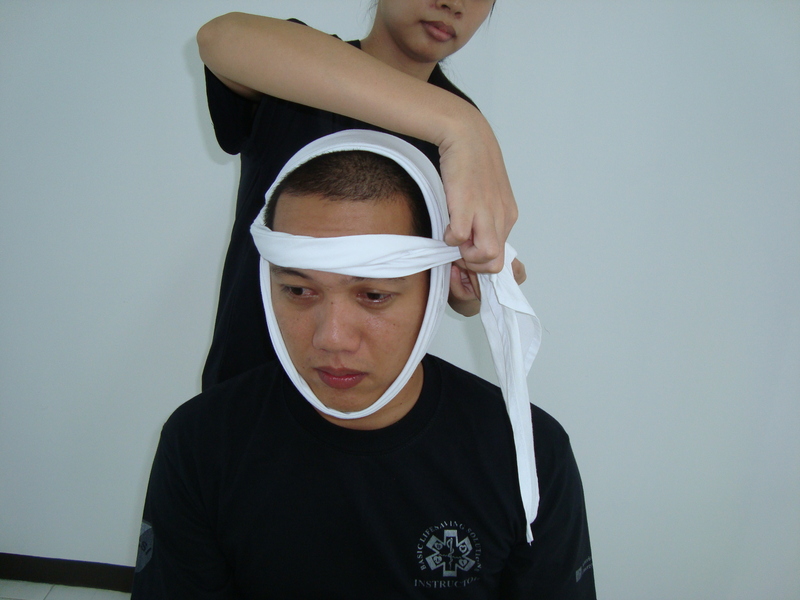 Bring the two points on the opposite side, making one point passing through the chin and the other point through top portion of the head and intersect them on the level of the forehead (figure 2). 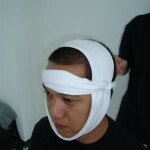 Cross the bandage on the level of the forehead (figure 3). 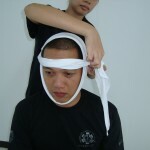 Bring back the two points to the injured side, passing one point from the back portion of head and the other on forehead maintaining the level over the forehead so as not to cover the eye and make a square slightly above the ear. 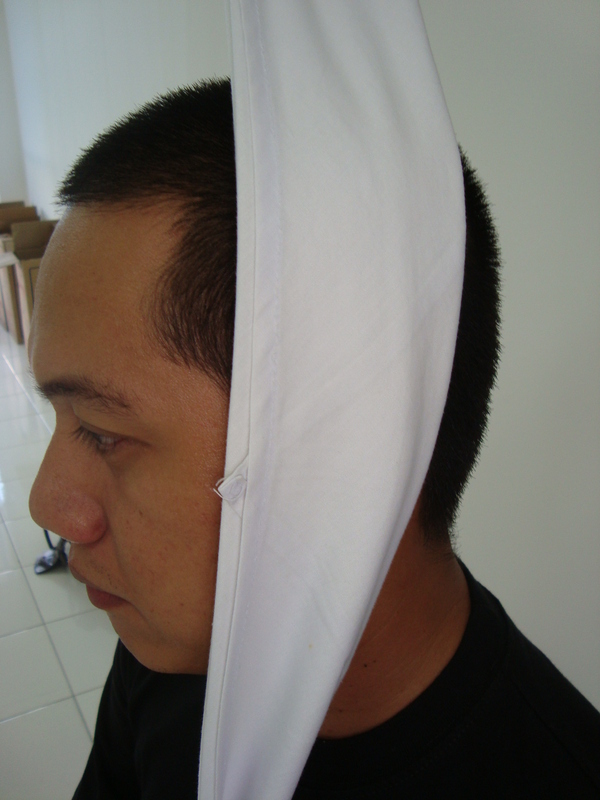 Insert the excess (points) of the bandage for housekeeping purposes.